Lunya Group’s Gourmet nights are always something special. 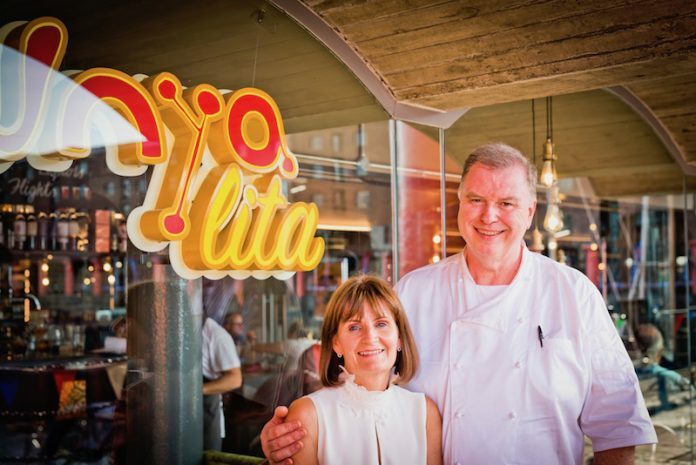 The restaurants and delis are a food lovers’ paradise, and when it comes to these special occasions, owners Peter and Elaine Kinsella always pull out all the stops. April’s event takes place at the beautiful Lunyalita on the Albert Dock on April 25 at 7.30pm, and promises to be one of the best yet, celebrating Spain’s fabulous natural ingredients, a heritage of superb dishes and showcasing the talents of the superb kitchen team in Lunyalita. With Lunya Group’s signature twist on dishes, it offers a combination of traditional and inventive recipes, with stunning ingredients, to stimulate all your senses, devised by the team, led by head chef, Fran Aparicio. They have paired a wonderful selection of Spanish wines to match these exquisite dishes, with each course introduced by Peter, who offers a personal recommendation, and a guided tasting of each wine by Ian Clarke, the night’s visiting wine expert.Lunya Group’s Gourmet Nights are legendary on the Liverpool dining scene, offering fabulous food and wine in a convivial dining atmosphere in the stunning Albert Dock. They are always sell-outs, so book quickly. Book now at www.lunya.co.uk or call Lunyalita on 0151 317 7199 Price: £75 (includes all of the food and wine above). Full Payment is required at the time of booking.